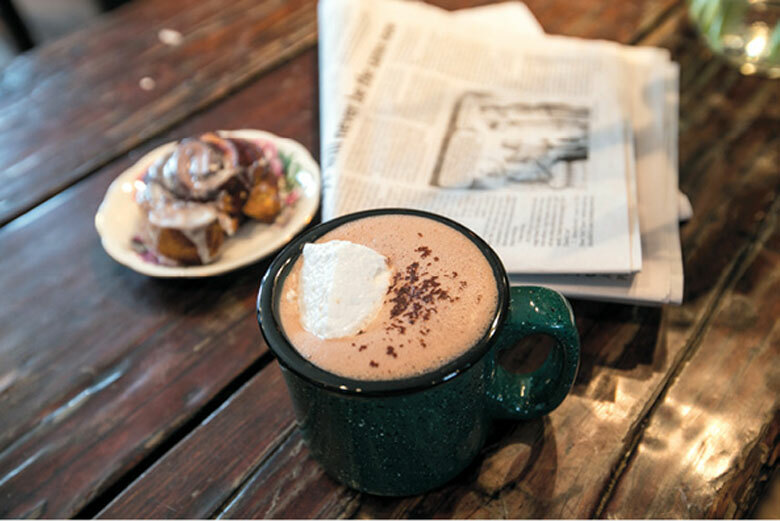 The North Fork’s Coffee Trail grows with Wine Country. 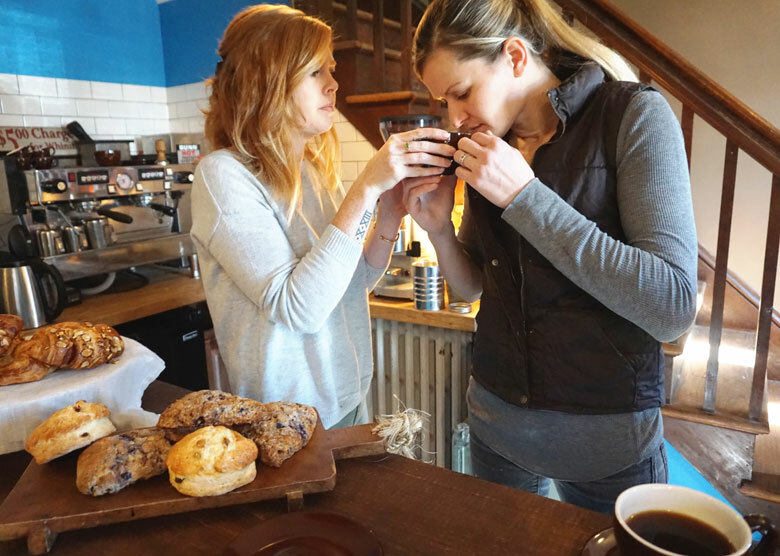 Jessica Dunne and Jennilee Morris of North Fork Roasting Co.
It’s true, Morris says; once you know good coffee, there’s no going back. Morris, an Institute of Culinary Education graduate, fell in love with roasting coffee a few years ago while managing Love Lane Kitchen in Mattituck. That’s where she and Dunne, a Suffolk Community College culinary school grad who specializes in pastries, became friends and first started dreaming up the business. North Fork Roasting Co. is the result. Right now, these two bright, energetic women are putting the finishing touches on their coffee shop/roastery at 55795 Main Road in Southold, preparing for a soft opening any day now. There are hand-sewn coffee-bag burlap curtains, a corrugated metal coffee bar, an old record player, Sinatra the dog, and lots of shiny, high-end coffee equipment, including an 800-pound roaster taking pride of place on the enclosed porch. It’s a cool space, and I can tell it’s going to appeal to people. Soon, the smell of roasting coffee beans wafting through the village will no doubt help grow a following that’s already in the hundreds just from their days-old Facebook page. “We have a lot of friends who and are involved in the food and wine industries, and local businesses, the whole culture of the North Fork,” Morris says. “We want to create a space where people can just hang out, maybe get a little work done, and drink some great coffee.” They also sell online, of course, through their website. North Fork Roasting Co.’s flagship coffee is the House Blend, made of beans from Colombia, Guatemala and Ethiopia. A fresh pot awaits on this sunny morning, so we do a little informal “cupping,” or coffee-tasting. It’s a medium-bodied, lighter-roast blend that seems pleasantly smooth and well balanced, with a soft, almost creamy finish. Coffee lingo has its own terminology, of course, but it’s similar enough to winespeak that I can make sense of it. “It’s like a city roast, a little lighter,” says Morris. “You taste more of what the bean has to offer than a heavy roast, which I think can really ruin the more delicate flavors.” Roasting and blending coffee is a culinary art, just like winemaking, she says, and there’s a growing appreciation for artisanal coffee that adheres to the philosophy of what is being called “seed to cup.” There’s also a trend towards lighter styles that show off a broader range of characteristics, apparently, just as there is in wine. We next try an Ethiopian Arabica bean called Sidamo. 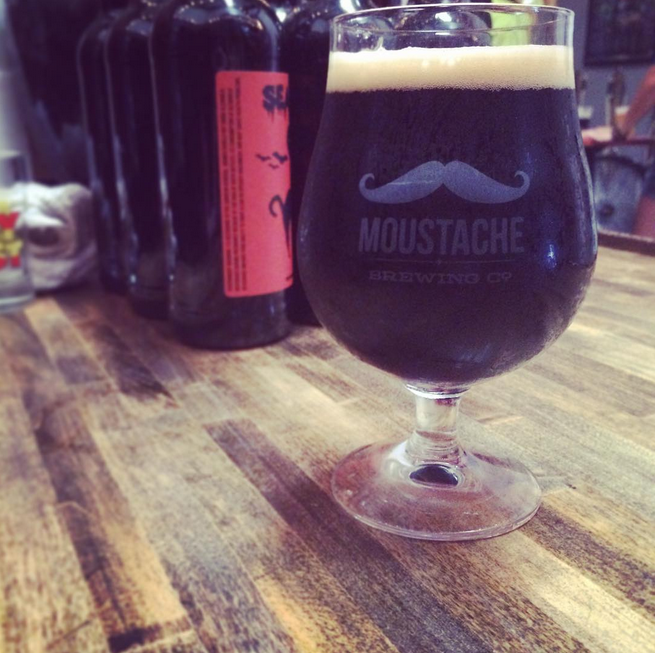 Dunne brews it up on a fancy little gravity-brewing contraption, and we taste. There’s an almost floral nose, a pleasant, bright citrus note, with quite a lot going on in the mid-palate including a hint of chocolate, and a clean, lightly tannic finish. 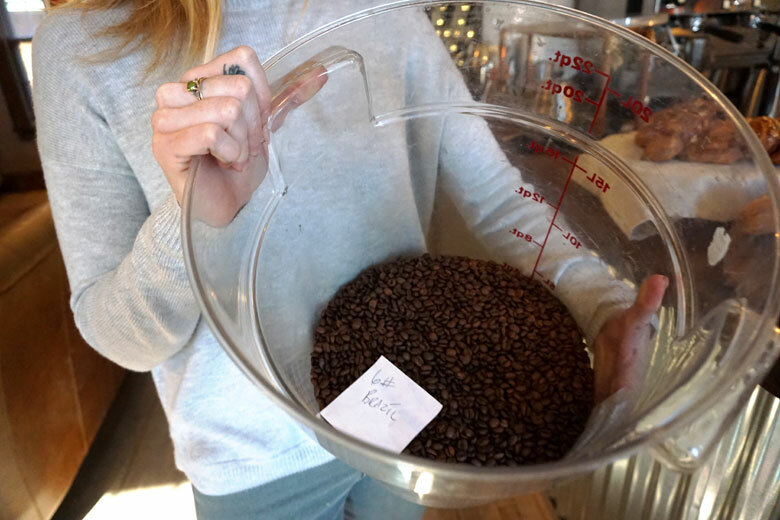 “This is an excellent example of roasting a coffee to its full potential,” says Morris, explaining that they took great pains to roast these beans just so. This is fun, and really interesting. They should offer coffee flights! Maybe they will, they say, laughing. They also want to do a cold brew on tap — cold-brewing is a different process that takes up to 18 hours to make, and the Ethiopian bean seems like it might be a good candidate for that particular style. We finish with something rare and special, coffee from the Misozi-Kopaki fair-trade cooperative in western Rwanda. There’s a distinctive “barnyard” earthiness to this one, rich and deep. It’s got a strong, almost steely character — if it were a wine, it would be a good cab. A coffee like this, from a small region, will show different qualities each harvest, just like wine. “You can find something like this that you absolutely love, and then once it’s gone, you can never get exactly the same thing again,” says Morris. Great artisanal coffee, it seems, can be in steady supply as the product of thoughtful blending and careful roasting, or, according to nature’s whims, it can be as ephemeral as the aromatic steam rising from our cups. Either way, count me in: I’m now a slightly over-caffeinated believer. P.S. : Morris and Dunne highly recommend “A Film About Coffee,” a new documentary from director Brandon Loper and production company Avocados & Coconuts. It’s a fantastic film about artisanal coffee that the cognoscenti are raving about.